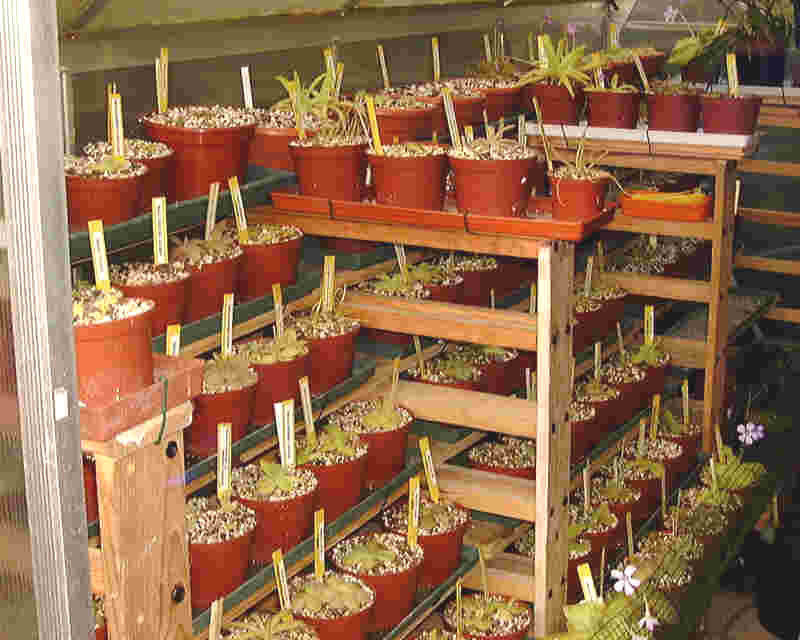 This is my greenhouse, half of its surface is reserved for Mexican Pinguicula. It is made of Polycarbonate that is a very good thing against hail and children's balls. The only thing that could be better is the thickness of the polycarbonate cover (4 mm). If you have the choice, buy one with a minimum of 8mm. Half of my greenhouse is devoted to Mexican Pinguicula. 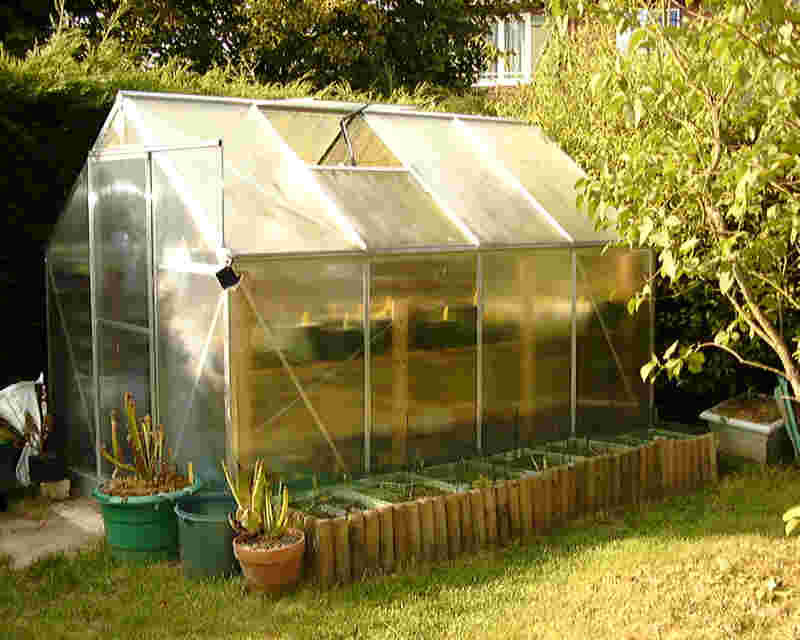 The greenhouse receive direct sun from sunrise to sunset. In these conditions the temperature can be very high (40°C !) so I prefer using a shade cover when the weather is sunny. In winter, J use an electronic petroleum heater only when the temperatures fall around 4°C. A small fan is working 24 h/24 h to mix the air inside the greenhouse.